The Verdegaal family has been in the Hanford area in the San Joaquin Valley of central California for three generations. In 1975 Verdegaal Brothers. Inc. incorporated as a base for the many products and services that they provide today. Four of Bill Verdegaal`s nephews, Russ, Jeff, George, and Marty, work for the family business. With a private railroad siding in Kings County that can hold up to 40 railroad cars, Verdegaal Brothers has storage for gypsum, feed grains, metam sodium, propane, phosphoric acid, sulfuric acid, and various liquid and dry fertilizers. The company warehouses various liquid and dry agricultural fertilizers for fertilizer manufactures, for distribution to fertilizer dealers in the San Joaquin Valley. 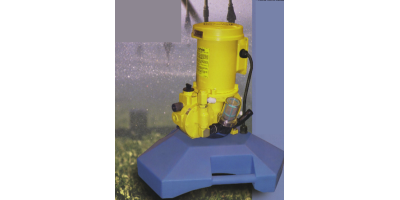 This company also provides solutions for other industrial applications. Verdegaal Brothers also has their own fleet of trucks in order to provide the service that is required to deliver product to their customers. The company has two pest control advisors on staff, who do consulting and marketing. Verdegaal Brothers farm citrus and walnuts in Kings County. The organization, which has approximately 48 employees, serves a large area with important products and services for agriculture. This award recognizes a Kings County Business which has actively and measurably contributed to local economic development efforts; expanded their employment base; invested significantly in facilities, equipment or other infrastructure; and has contributed to the economic vitality of the County and the region. For three generations, the Verdegaal family has lived and farmed in the Hanford area. In 1975 brothers Bill and George incorporated as Verdegaal Brothers, Inc. and began commercially offering agriculture supplements and services in the region. With a private railroad siding, Verdegaal Brothers stores and distributes agricultural gypsum, feed grains, metam sodium, propane, phosphoric acid, sulfuric acid, and various liquid and dry fertilizers for direct delivery and to supply other manufacturers and resellers throughout the San Joaquin Valley. Verdegaal Brothers' diversification includes the operation of a fleet of trucks to assure prompt delivery of their products. As a major business in Hanford's Kings Industrial Park, Verdegaal Brothers is planning the construction of an additional two million gallon liquid storage tank to accommodate its continued expansion. The Verdegaals are recognized for their innovative practices in the field of agriculture. 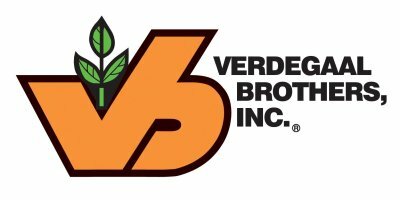 Verdegaal Brothers, Inc. has been a major contributor to agriculture through generous contributions of time, expertise, and local investment. Sales Manager Jim Gregory is Chairman of the Kings County Agricultural Advisory Committee and is a long-time contributor to the business community through the Hanford Chamber of Commerce and Kings County Economic Development Corporation. Many of Verdegaal Brothers' 48 employees and family members contribute countless hours toward improving the overall quality of life for area residents.